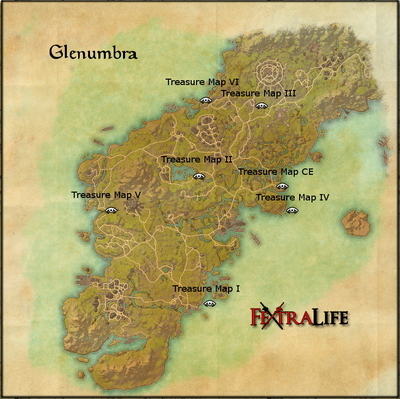 Glenumbra Treasure Map I is acquired randomly from looting or is bought from other players. 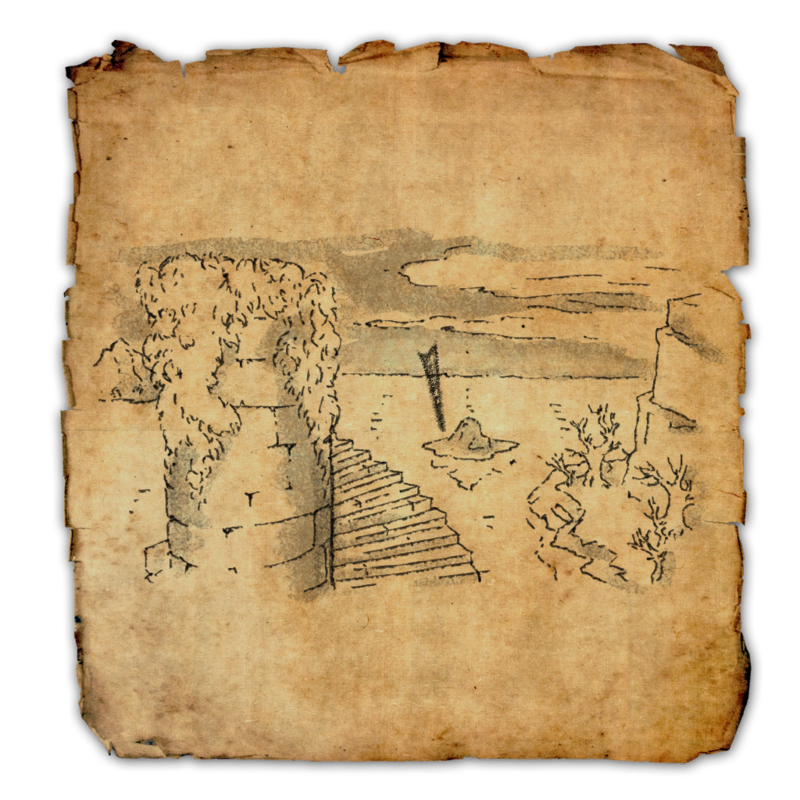 To use it, you must have the map in your inventory and you must travel to the location. The map will be consumed when used. Start from Aldcroft Wayshrine and walk towards Mines of Khuras solo dungeon, there is a small island across form the dungeon. It is behind the huge rock on the island.